CONSIDERING A THOROUGHBRED ? Ask about this kind mare. For sale: Thoroughbred mare, with papers. Suitable for Adult / Youth / Amateur. Sensible and quiet. Trail rides 3-4 times a week along with arena work. Huge potential and big movements. Safe horse. 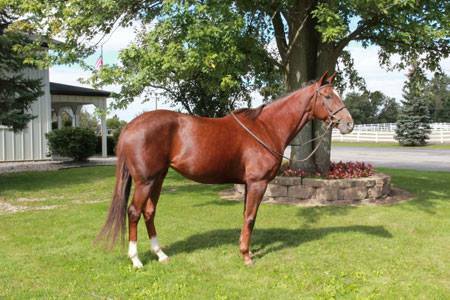 Easy jumper, experience in dressage arenas, might be a terrific three day eventer. Has shown in dressage and jumping, yet she is still green and ready for YOU to put on the final touches. She is very smart, does NOT want to touch the rails, and will be an easy horse to ride in the dressage arenas.